Freddy Deeb was attending Utah State University when civil war broke out in Lebanon in 1975. He lost contact with his parents (who had been sending him money to support his education) for 2 years. 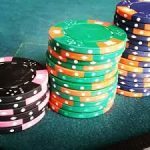 Deeb was unable to gain employment as he was on a student visa so began gambling. 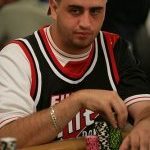 Freddy Deeb was forced to leave his education, just 12 credits away from graduating his mechanical engineering course.At the 1996 World Series of Poker (WSOP), he won the $5,000 Deuce to Seven Draw event, receiving $146,250 and besting a field that also contained Mickey Appleman,Gabe Kaplan, David Grey and Doyle Brunson. 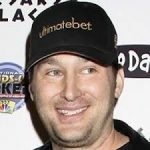 He has also finished in the money of the WSOP Main Event twice: in 1995 (17th) and 2003 (13th. 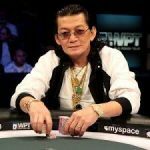 )He also won the fourth season World Poker Tour (WPT) Ultimate Poker Classic event, where he won an even $1,000,000. 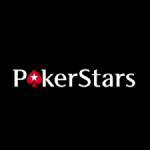 Deeb has also appeared in the Poker Superstars Invitational Tournament series. 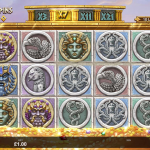 He is currently appearing in the GSN series High Stakes Poker. 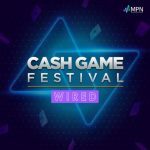 Deeb is well-known for wearing patterned/multi-colored shirts, and one (red and white, with a diagonal checkerboard pattern) became famous at the 2003 World Series of Poker. Holding pocket Kings, Deeb went all-in against Phil Ivey, who flopped a set of 7s; a third King appeared on the turn and Deeb won the pot. Afterwards, Ivey jokingly remarked, “Must be the shirt.” World Series of Poker tournament director Matt Savage referred to it as the “magic shirt” during a pot-limit Omaha tournament in the 2004 World Series of Poker, after a hand in which Deeb eliminated two players (one of whom was Howard Lederer). As of 2005, his total live poker tournament winnings exceed $2,570,000. He lives in Las Vegas, Nevada. Deeb indicated during an interview on the ESPN broadcast of the 2005 WSOP that he is considering returning to university at some stage to complete his education.